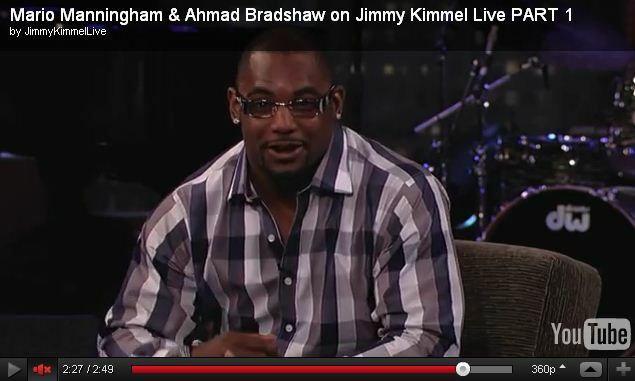 Ahmad Bradshaw on Jimmy Kimmel Live in Astor & Black. Ahmad Bradshaw of the New York Giants recently appeared on Jimmy Kimmel to discuss and celebrate his team’s big Super Bowl victory. Mr. Bradshaw rocked a killer casual look styled by his Astor & Black professional clothier, Dini Berger.